Viewsonic throws another tablet on the market. It’s name: ViewSonic ViewPad 10pro. It could be released soon in the States as it just got presented at FCC. 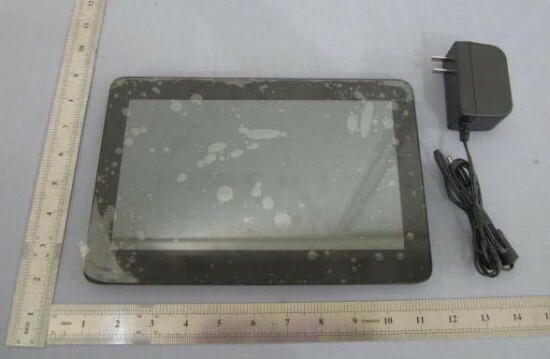 The tablet seems to be almost identical to previous 10-inch ViewPads that have hit the market except it would be powered by a Tegra 2 processor like the ViewPad 10 or an Atom N455 processor like the ViewPad 10s but rather an Oak Trail Atom Z760 chip. The slate was first scheduled for a April or early May release which Viewsonic kept on postponing until now. There is no release date yet but we know that it will most likely pack a 10-inch 1024 x 600 display, up to 2GB of RAM, 32GB SSD, HDMI, full sized USB 2.0, 4-in-1 card reader, SIM card slot, reset button, headphone jacks and a 6 to 7 hour battery. Two models are expected — a Windows 7 HP and dual-bootable version with Windows 7 starter and Android 3.x.